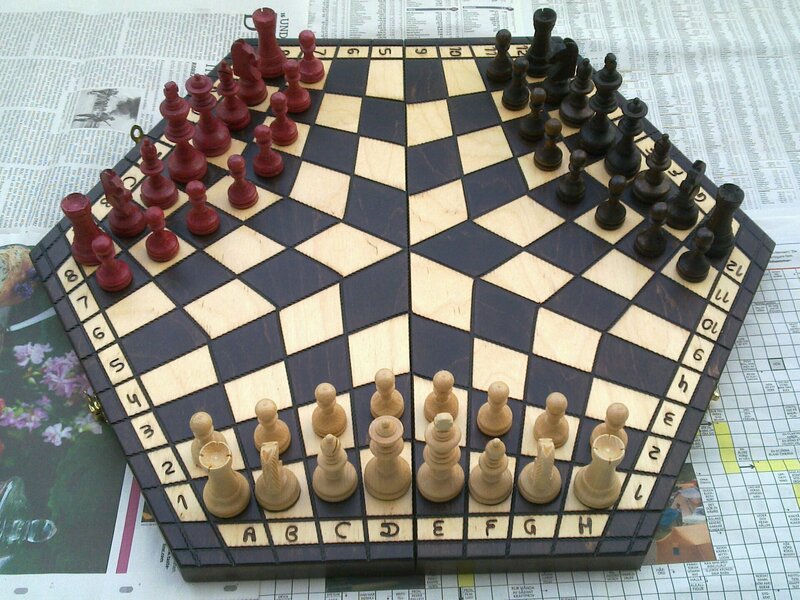 Hexagonal board for three-handed chess. File:Chess for Three - Hexagonal Board.jpg by Dr Jacek Filek and release into the public domain. Many thanks, Dr Jacek Filek!